The perfect Wrangler Retro Shirt to pair with your favorite Wrangler Jeans. Now you can always rock a classic western look with a shirt from Wrangler Retro. This western shirt is made from 100% cotton, and features short sleeves, a spread collar, and snap buttons. 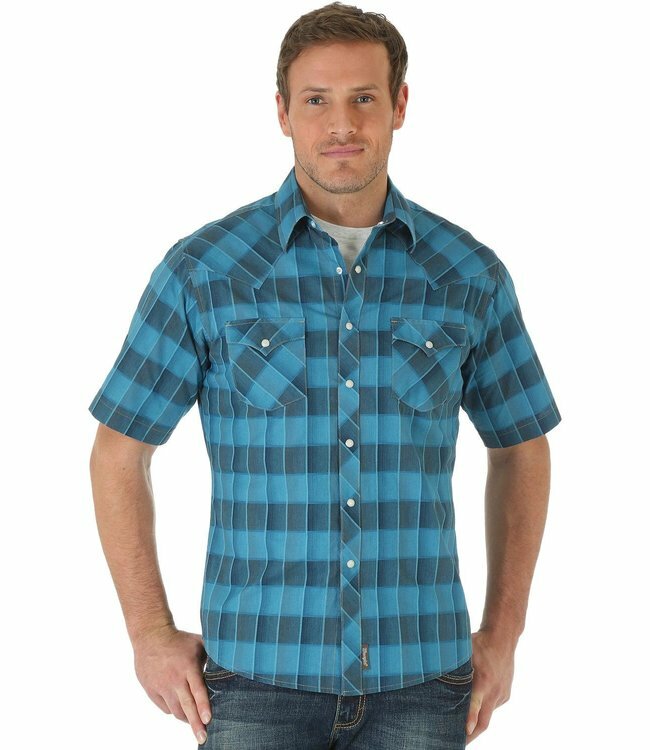 Look your western best at home, in the office, or out on the town in this men's shirt from Wrangler Retro.